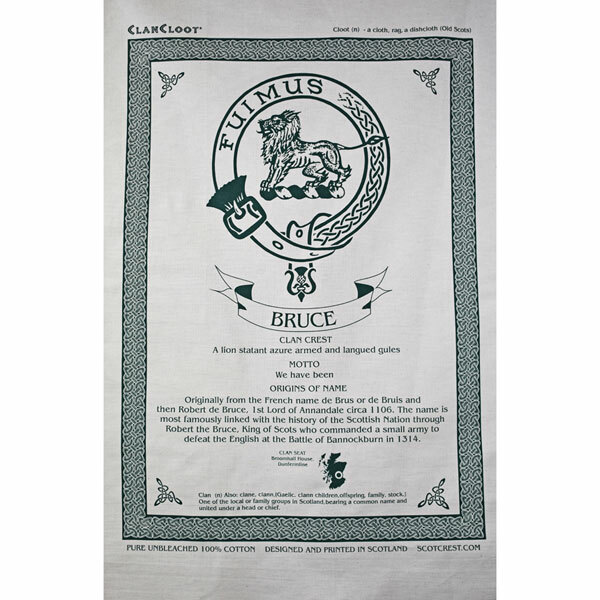 Celebrate your family heritage with this Bruce teatowel. 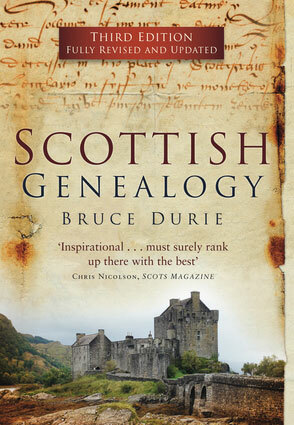 Origins of the Bruce name - Originally from the French name of de Brus or de Bruis and then Robert the Bruce, 1st Lord of Annandale circa 1106. 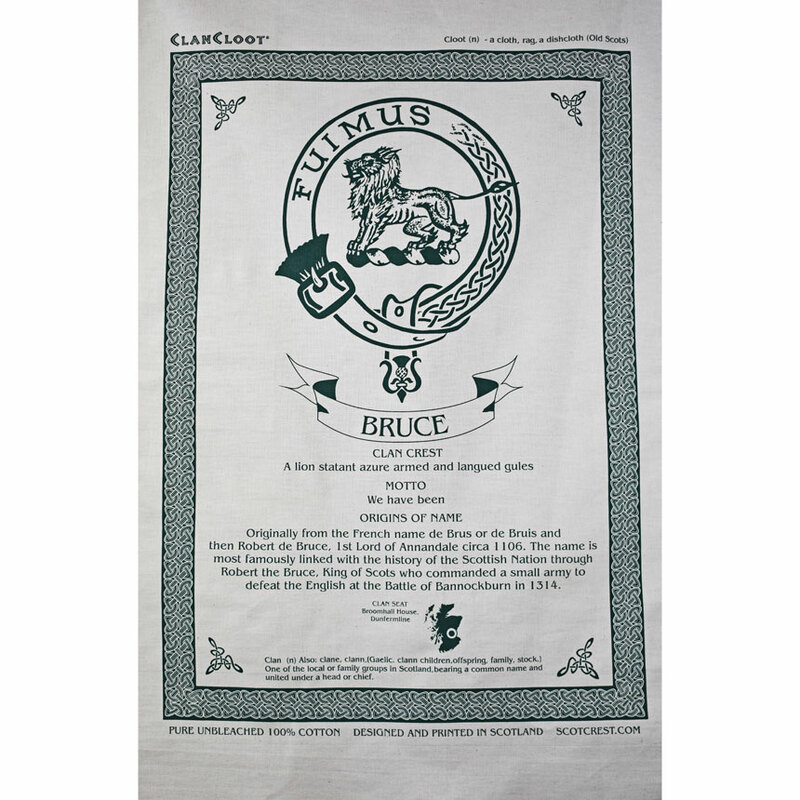 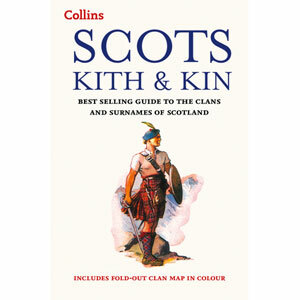 The name is famously linked with the history of the Scottish nation through Robert the Bruce, King of Scots who commanded a small army to defeat the English at the battle of Bannockburn in 1314. 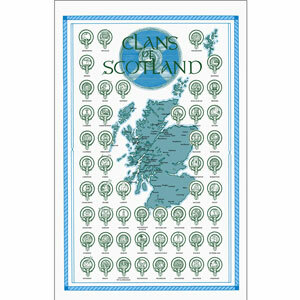 In the bottom corner there is a map of Scotland highlighting the location of the clan seat at Broomhall House in Dunfermline.